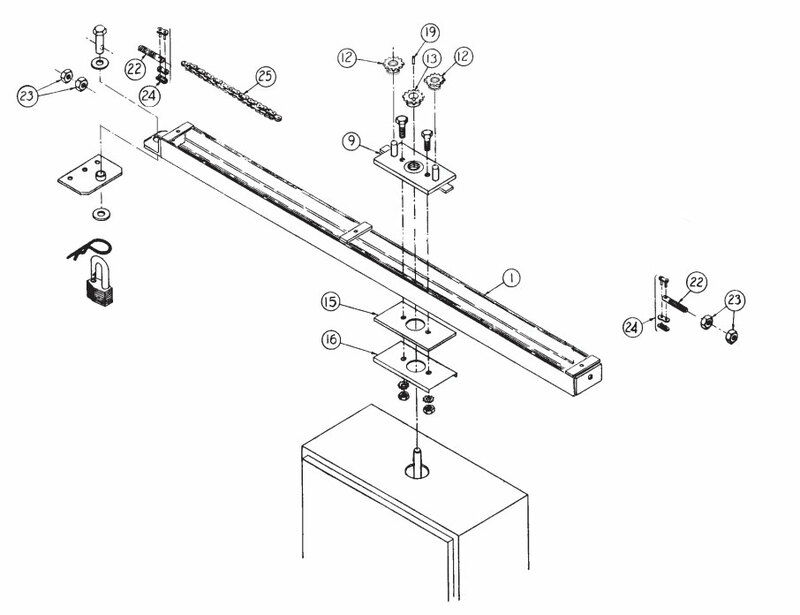 Below is a replacement parts diagram for the Linear VS-GSWG swing gate opener arm. Continue past the diagram for links to every available replacement part. We also have similar pages available for VS-GSWG gate operator replacement parts, the VS-GSWG controller replacement parts, as well a Linear part finder for every other gate operator. Simply click on your desired part below to be taken to the products page. For help selecting the right part for you, call us toll free at (800) 878-7829. 2110-312-BT - Welded Rail Assembly 78"